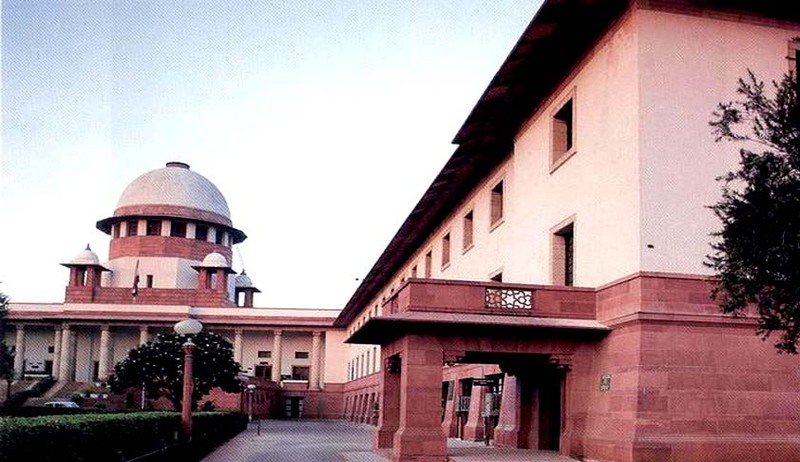 The Supreme Court of India has held in a recent judgment [S.M. Asif v. Virender Kumar Bajaj] that Judgment on admission is not a matter of right and rather is a matter of discretion of the Court and that mere admission of relationship of landlord and tenant cannot be said to be an unequivocal admission so as to decree the suit under Order XII Rule 6 CPC. A 3-judge bench of the Apex Court comprising of Justice T.S. Thakur, Justice V. Gopala Gowda and Justice R. Banumathi held that the words in Order XII Rule 6 CPC “may” and “make such order…” show that the power under Order XII Rule 6 CPC is discretionary and cannot be claimed as a matter of right. “Judgment on admission is not a matter of right and rather is a matter of discretion of the Court,” said the Court. The landlord (respondent) was the owner of the disputed premises which is a built up area of entire second floor with terrace/roof of the property bearing No.R-849 situated at New Rajinder Nagar, New Delhi admeasuring 200 sq. yards. The tenant (appellant) contended that the respondent-landlord entered into a registered agreement for lease at a monthly rent of Rs.37,500/- for a period of twenty two months i.e. from 15.03.2008 to 14.01.2010. After the expiry of first lease, another registered lease was entered into between the parties for two years i.e. from 15.01.2010 to 14.01.2012 on monthly rent which was fixed at Rs.44,000/-. According to the appellant, during the subsistence of the second lease, as the respondent-landlord was in financial crisis, the respondent-landlord and the appellant-tenant entered into an agreement of sale in respect of the same tenancy premises for an amount of Rs.1.56 crores on 19.08.2011.. The appellant-tenant was said to have advanced a sum of Rs.82.50 lakhs vide six payments. The respondent-landlord alleged that under Section 106 of the Transfer of Property Act terminating the lease, he sent a legal notice through speed post on 26.12.2011; however, the appellant-tenant denied having received any such notice. As the defendant-tenant was not vacating the premises, the respondent-landlord filed a Suit No.256/13 for recovery of possession, mesne profits and injunction in the Court of Additional District Judge, Tis Hazari, Delhi. During the pendency of the suit, an application under Order XII Rule 6 CPC read with Section 151 CPC was filed by the respondent-landlord and the trial court vide its order dated 25.08.2014 allowed the said application and directed the appellant-tenant to vacate and handover physical possession of the suit premises to the respondent-landlord. Aggrieved by the Order, the appellant-tenant preferred RFA No.505/2014 in the High Court of Delhi. As per the order of the High Court, on the date of preliminary hearing i.e. 16.10.2014, the learned counsel for the appellant-tenant is said to have submitted that the “appeal is not pressed on merits and he prays for grant of time to vacate the suit premises. Limited on the point of grant of time matter is listed for 24.10.2014….”. On 27.10.2014, the appellant-tenant changed his counsel and requested that the appeal may be heard and sought for an adjournment. The Single Judge declined the request for adjournment and disposed of the appeal observing that notice was issued to the respondent-landlord limited only to the point of grant of time to vacate the premises. Aggrieved by the said order, the appellant-tenant filed a Review Petition No.499/2014 which also came to be dismissed by an order dated 19.11.2014. The tenant thereupon approached the SC assailing the correctness of the said orders passed in the appeal as well as the Review Petition. The tenant contended before the SC that he, an accredited journalist with good reputation had paid a huge sum of Rs. 82.50 lakhs under an agreement of sale and while so, the trial court erred in passing decree for eviction under Order XII Rule 6 CPC. It was submitted that the trial court vide its order dated 30.09.2013, while directing the payment to be made during the pendency of the suit at Rs.44,000/- per month has stipulated a condition that in the event of the appellant-tenant succeeding, the monthly amount paid would be adjusted against the balance sale consideration amount under the agreement for sale dated 19.08.2011. It was further submitted that having regard to the defence taken by the appellant-tenant, the trial court ought to have adjudicated the matter and erred in passing a decree for eviction without trial. It was also submitted that when the matter came up before the High Court of Delhi on 16.10.2014, the appellant-tenant was not present in the Court and his counsel sought time to take instructions and according to the appellant-tenant, his counsel did not make the statement ‘not pressing the appeal’. Counsel for the respondent-landlord submitted that it is clear from the order that the advocate appearing for the appellant in High Court had only sought for time to vacate the premises and did not press the appeal on merits. It was further contended that it is quite unbelievable that the appellant has paid a huge sum of Rs.82.50 lakhs by cash and the alleged agreement of sale is a fabricated one and since the appellant does not have a substantial defence, the trial court rightly passed the decree under Order XII Rule 6 CPC and the impugned orders do not suffer from any infirmity warranting interference. Having regard to the stand taken by the parties the Court said that an opportunity has to be afforded to the appellant to put forth his defence and contest the suit and accordingly remitted the matter to the trial court for a fresh hearing.